I have been CrossFitting for almost 6 years. My wife and some friends pressured me to try it, I was Globo-gyming, I went once and I was hooked. Mainly only been at 2 boxes, and the vast majority of that at 817 – 5 years. 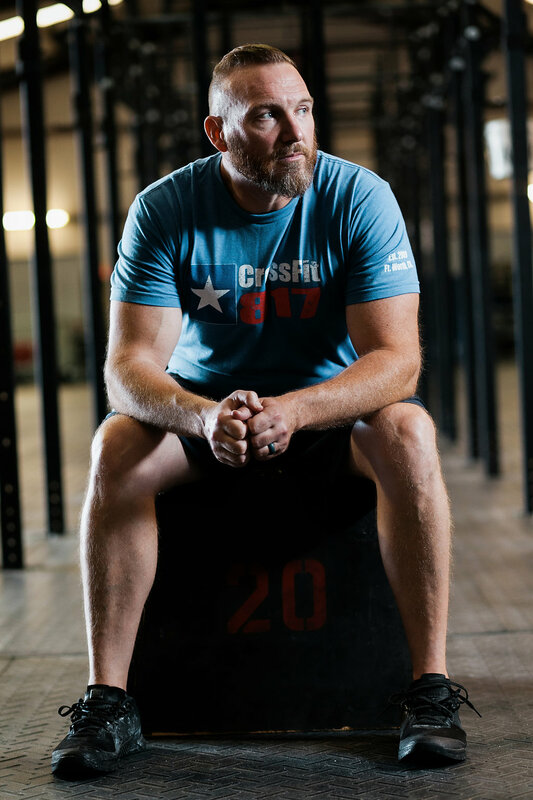 CrossFit to me – I still believe that of all the fitness Programs, etc… Crossfit is still the most well rounded and balanced. And, COMMUNIITY, you are never going to do any other type of fitness program or class, etc.. where you actually meet and become friends, sometimes very good friends with the people you meet there. We get together and work hard, play hard, we watch out for each other, look after kids, have cookouts, we are basically a family. Music – this is hard. I like 80’s but well NO ONE else does. What I like recently is mash-ups, etc….